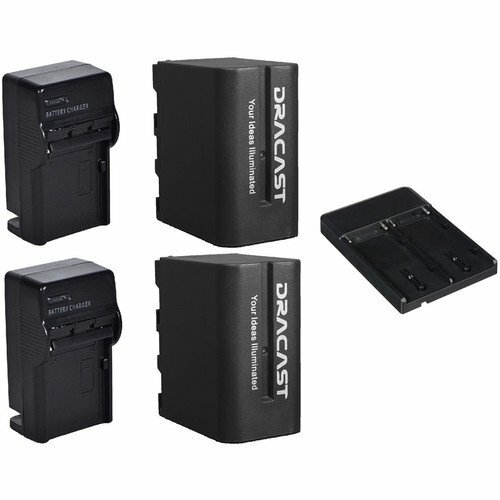 This Battery and Charger Kit from Dracast includes two 660mAh lithium-ion batteries, two battery chargers, and a V-mount to dual NP-F converter. The kit provides power for LED light fixtures for approximately 270 minutes. The converter lets you power V-mount equipment using the NP-F batteries. The Dracast 2x NP-F 6600mAh Batteries and Charger Kit provides power to LED light fixtures when mains power is unavailable. The kit contains two NP-F 6600mAh lithium-ion batteries and two multi-voltage chargers. 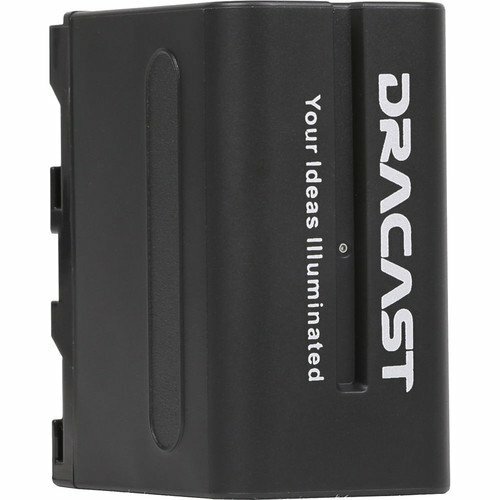 Run time is approximately 270 minutes with Dracast’s LED160, LED200, X1, or X2 lights on a fully charged battery. Dracast’s V-Mount to Dual NPF Converter allows you to power any V-Mount/V-Lock light, monitor, or other piece of equipment with 2 Sony-type L-series or NPF batteries, as long as the voltage is equivalent. 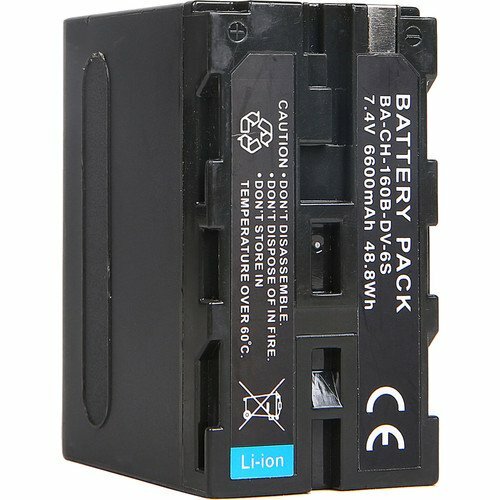 The combined voltage of the two NPFs will be 14.8V, which is the standard output power of a V-Mount battery. Box Dimensions (LxWxH): 4.6 x 4.3 x 4.3"
Box Dimensions (LxWxH): 4.4 x 4.3 x 4.3"